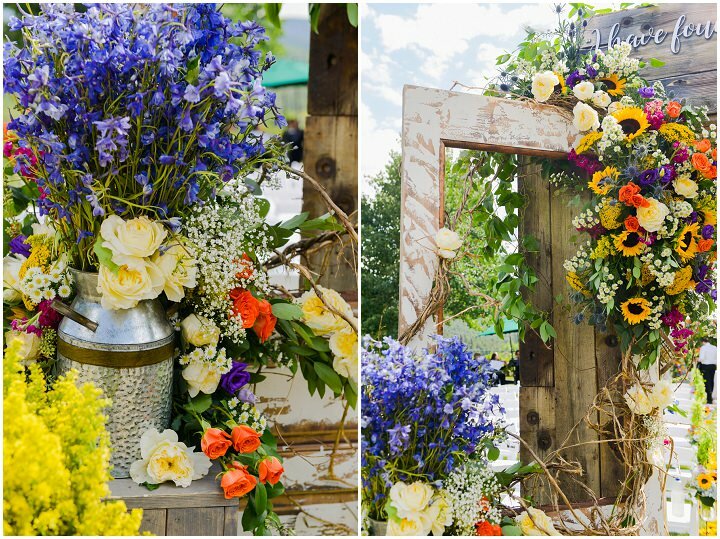 If you love flowers you are going to LOVE todays wedding as it features some of the most amazing blooms I have seen at a wedding for a long time! 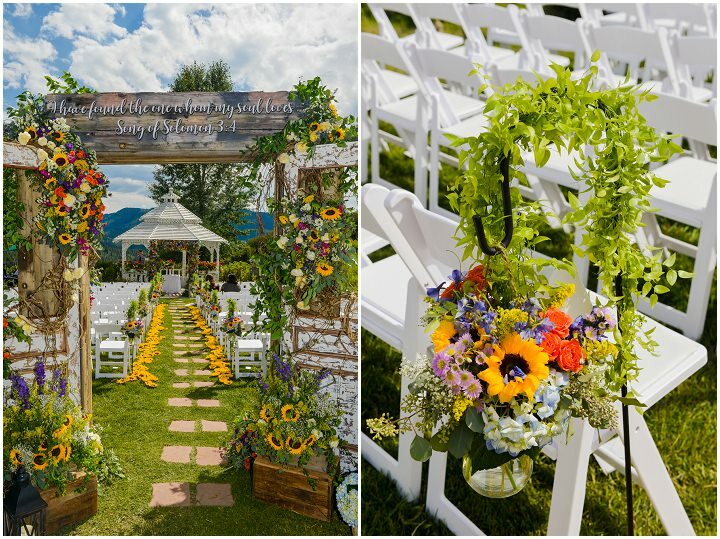 Ashley and Nathan were married on the 30th July 2016 at Cordillera Lodge & Spa, Colorado and they really went to town on the decoration. 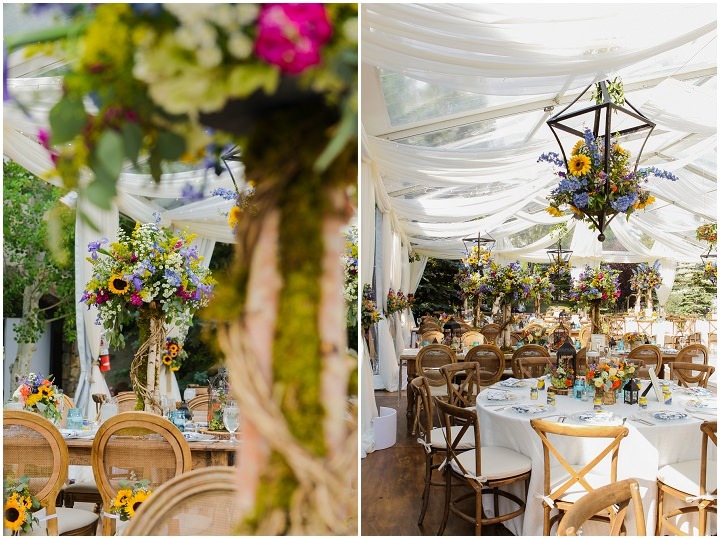 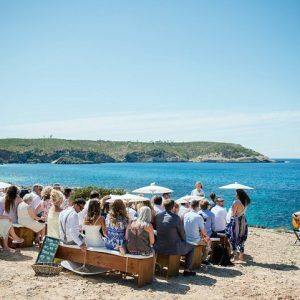 Not only is the reception area covered in the most amazing bright flowers, both on the tables and hanging from the ceiling but so is the ceremony area. 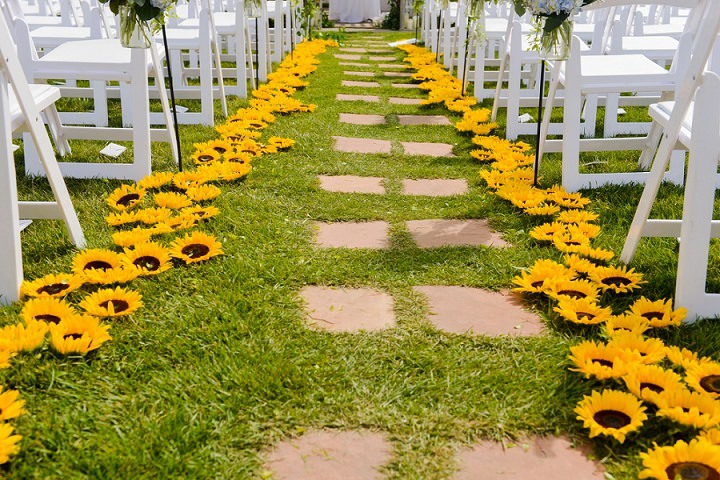 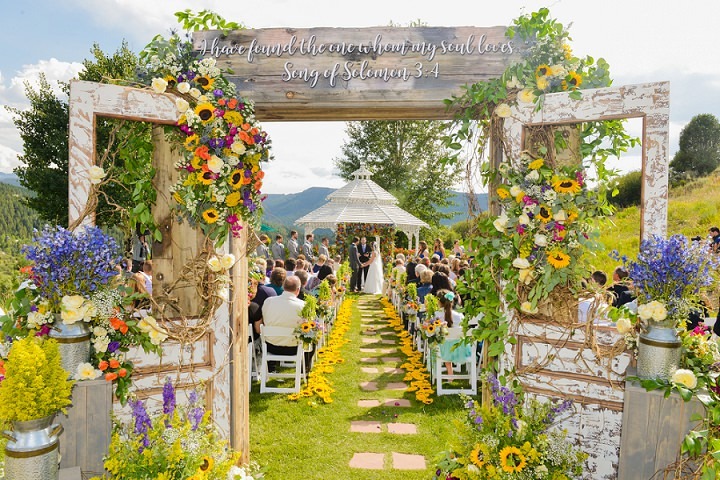 Sunflowers line the aisle, while a massive arrangement is featured in the entrance to the ceremony, absolutely breathtaking. 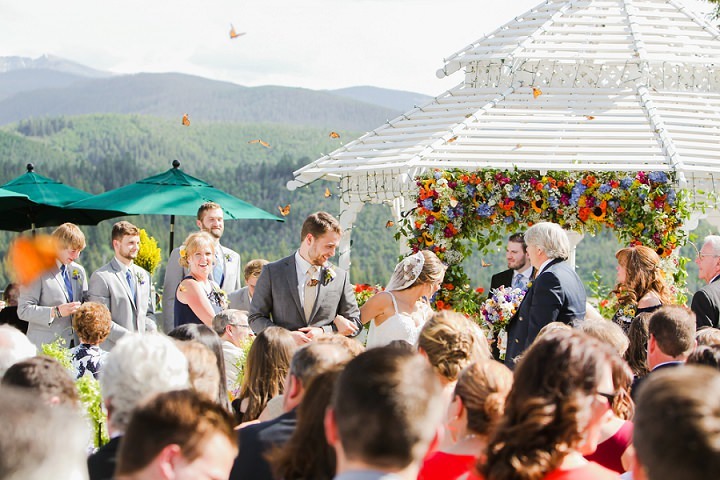 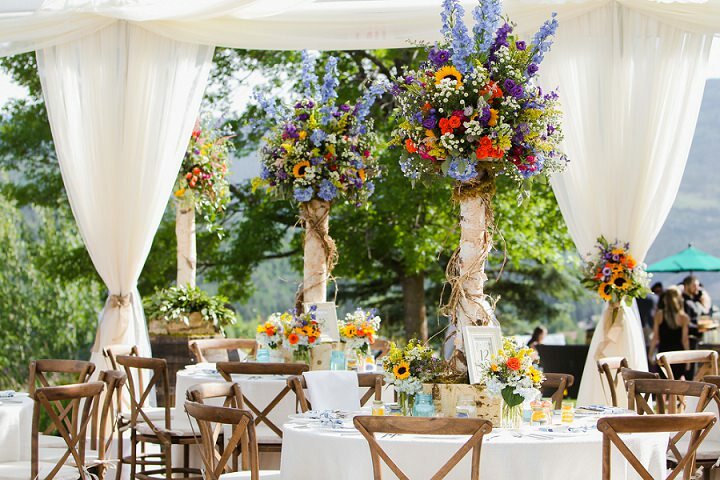 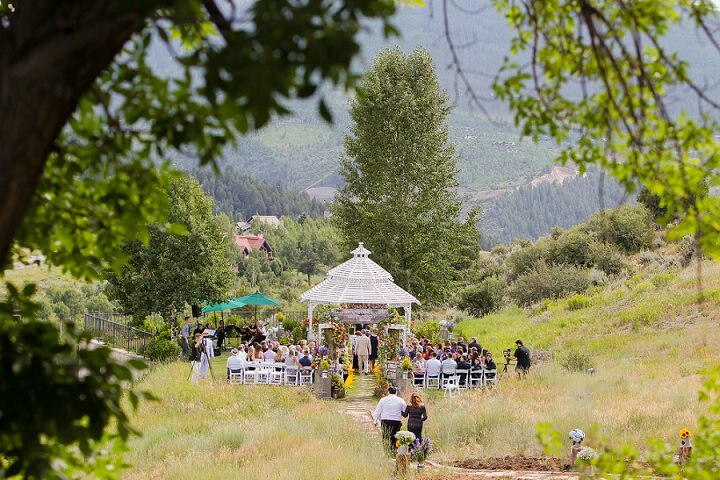 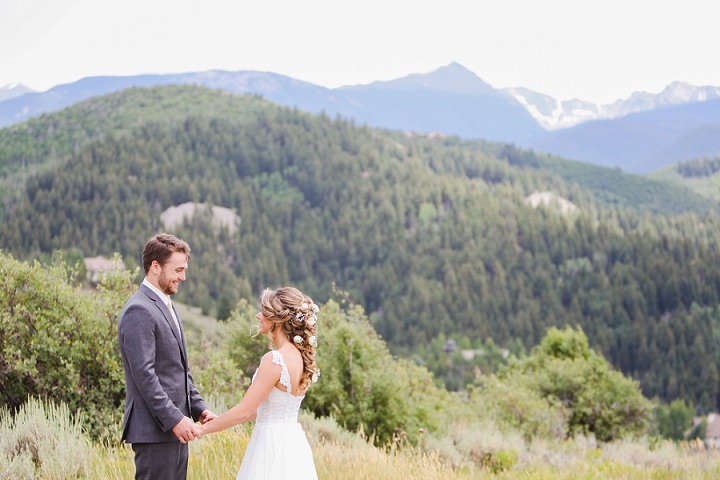 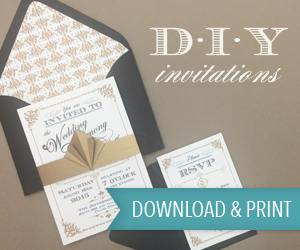 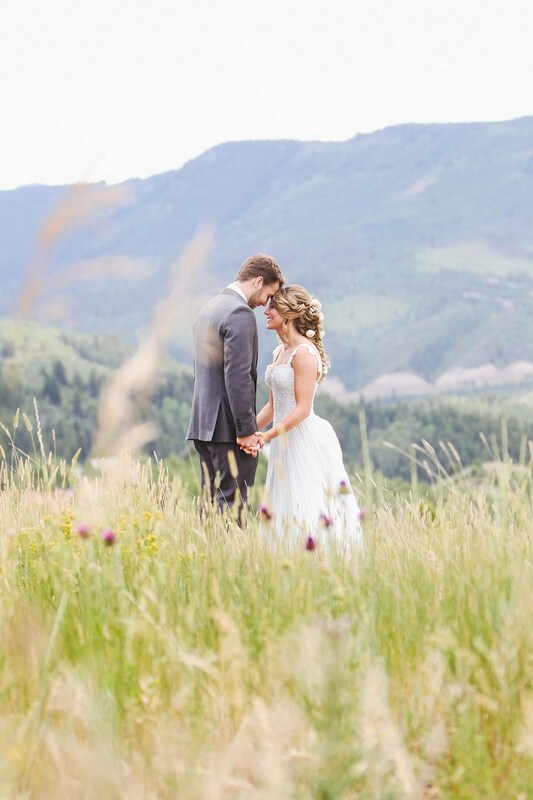 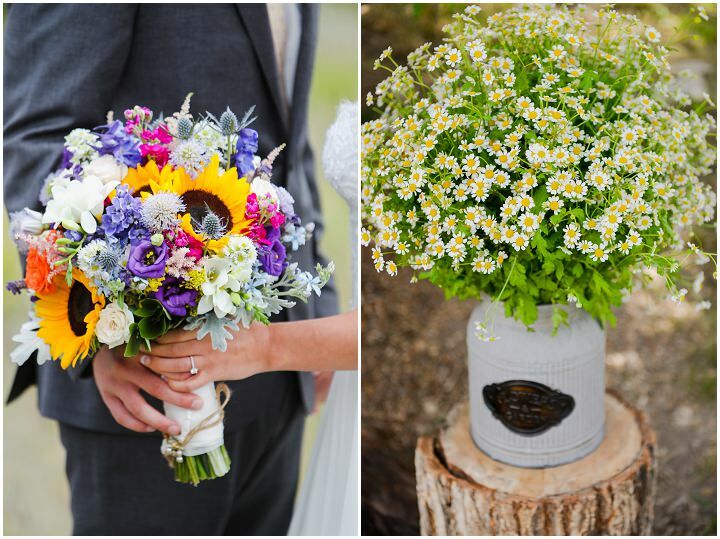 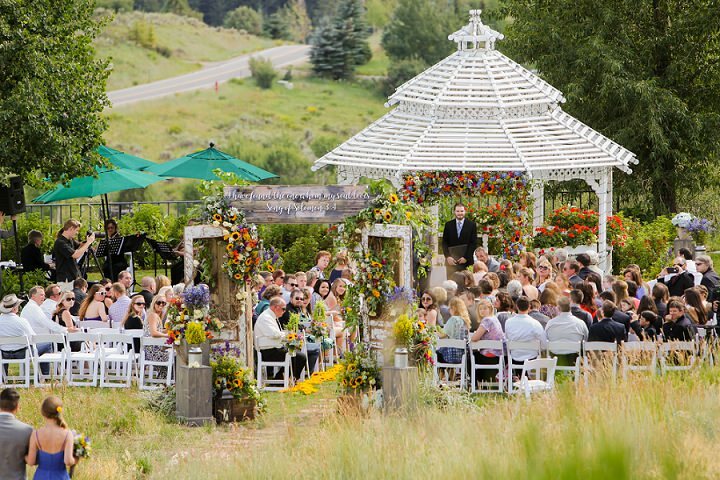 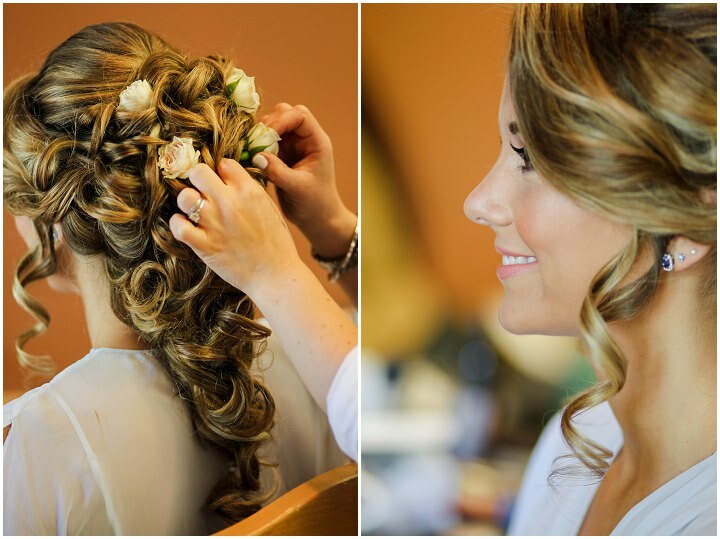 Coupled with the most stunning Colorado backdrop this wedding is a total beauty. 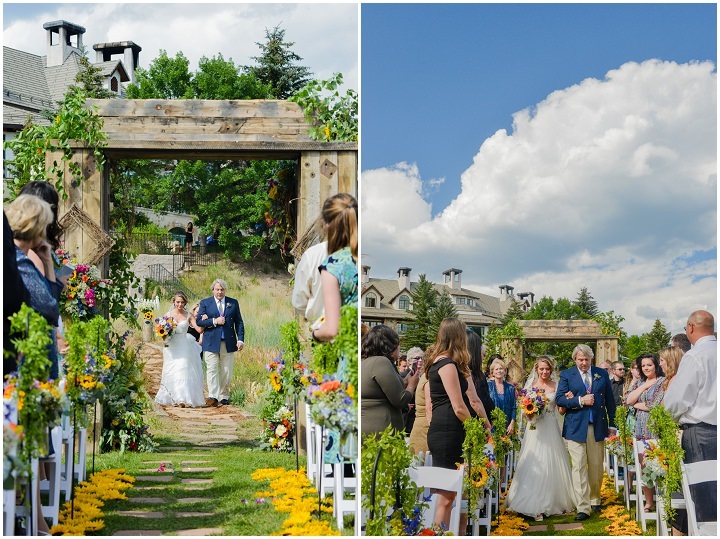 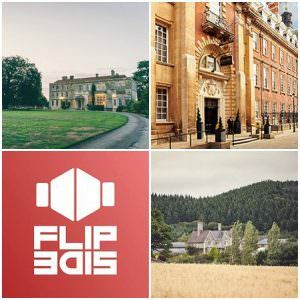 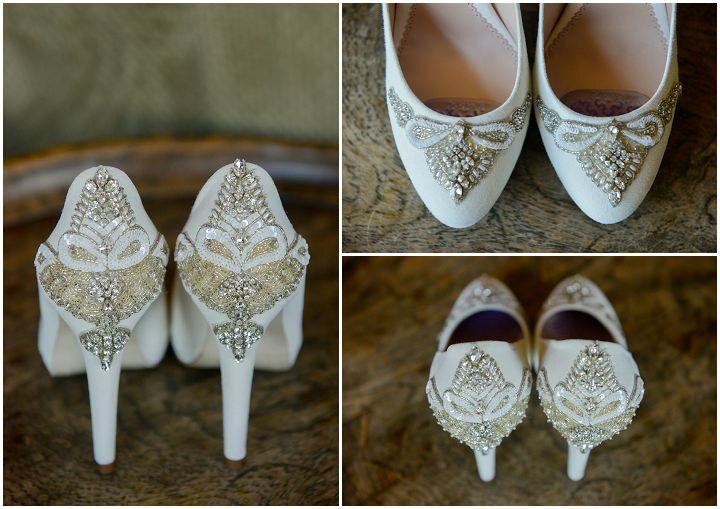 The stunning images have been submitted by Elevate Photography. 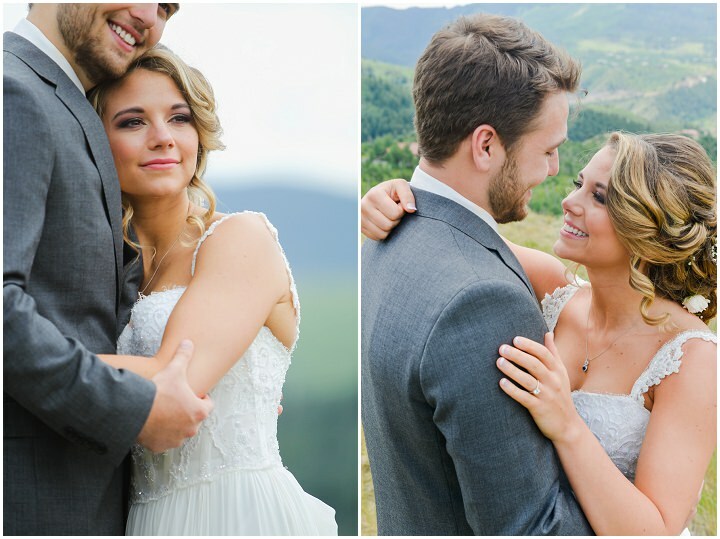 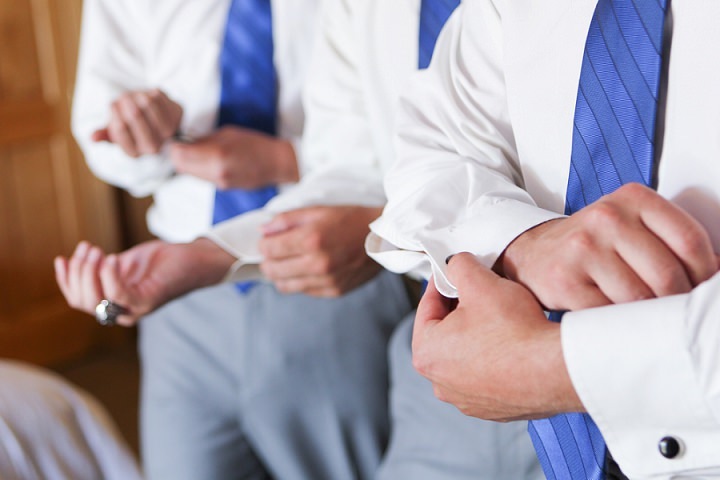 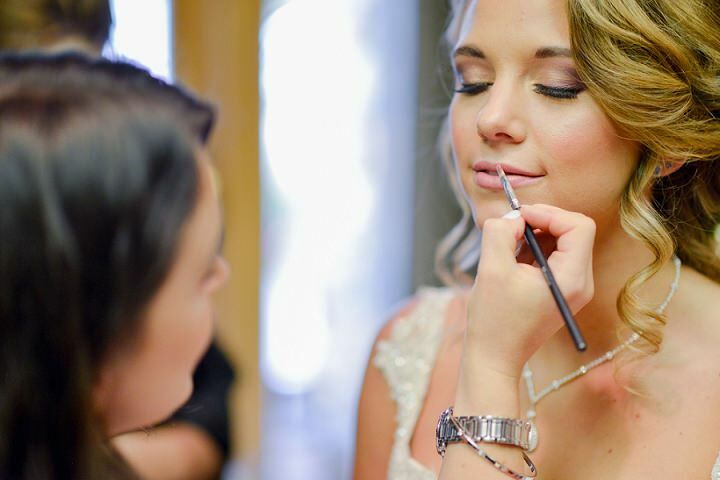 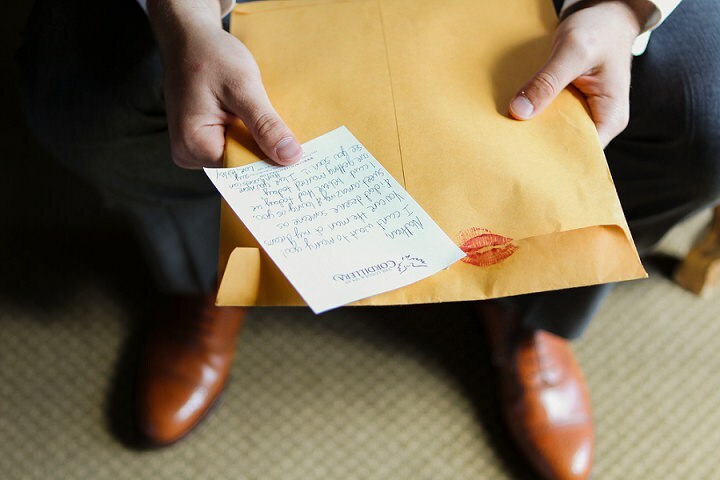 Ashley and Nathan’s seven year relationship through high school and college culminated in one of the most epic weddings that I have had the honor to photograph. 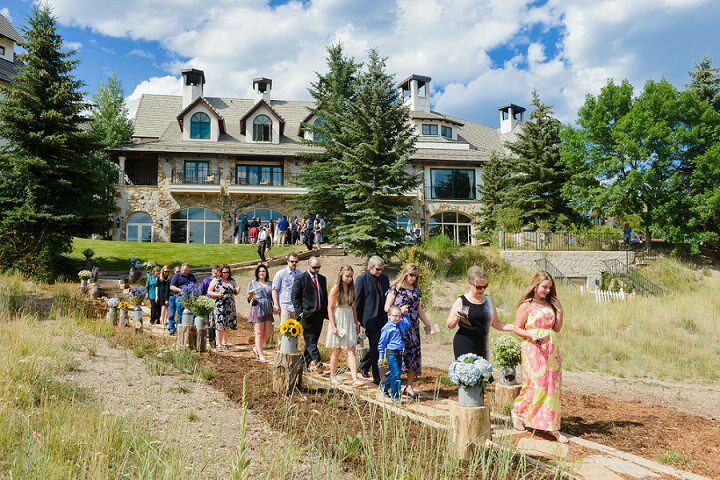 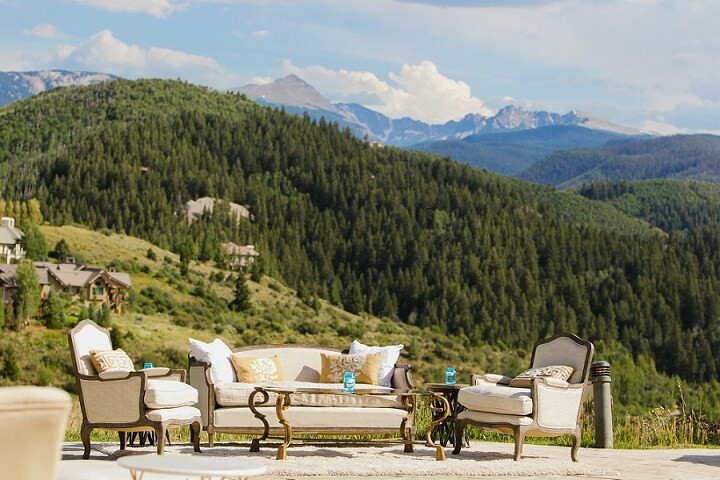 The idyllic setting in the mountains west of Vail at The Lodge & Spa at Cordillera was the perfect backdrop for their beautiful day. 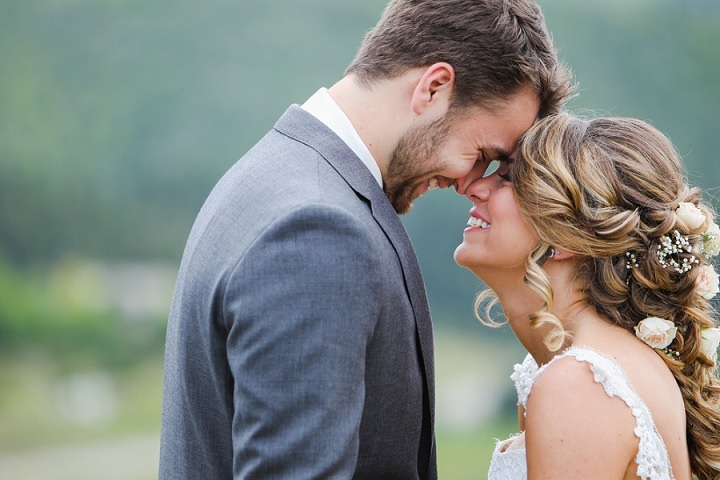 Ashley and Nathan both had plenty of smiles and laughs as they prepared with their family and friends. 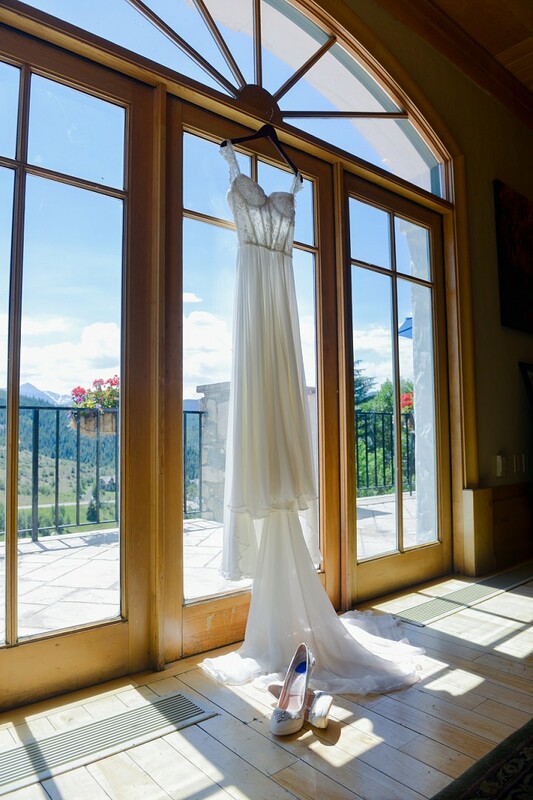 Ashley’s wedding dress was perfect and after her mom, sisters and bridesmaids helped her get it on and laced up she looked absolutely stunning. 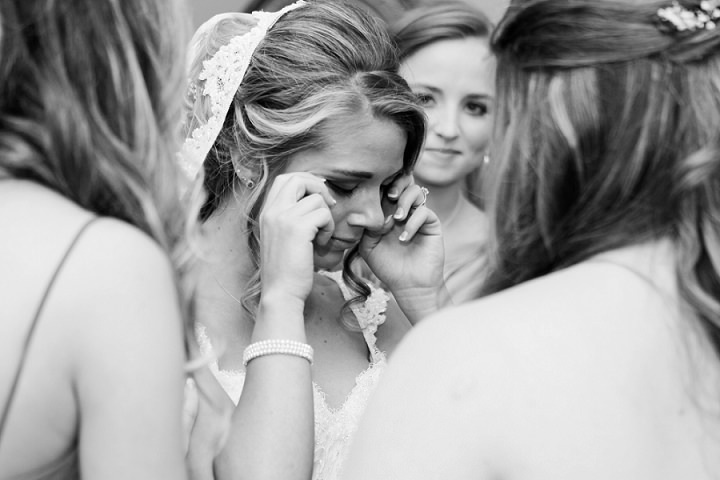 Ashley’s first look with her dad and her mom and sisters looking on was a very touching moment that they’ll both treasure forever. 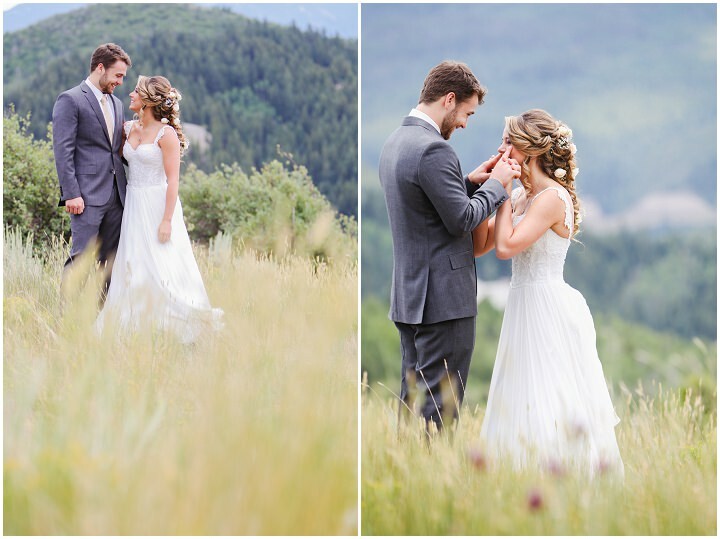 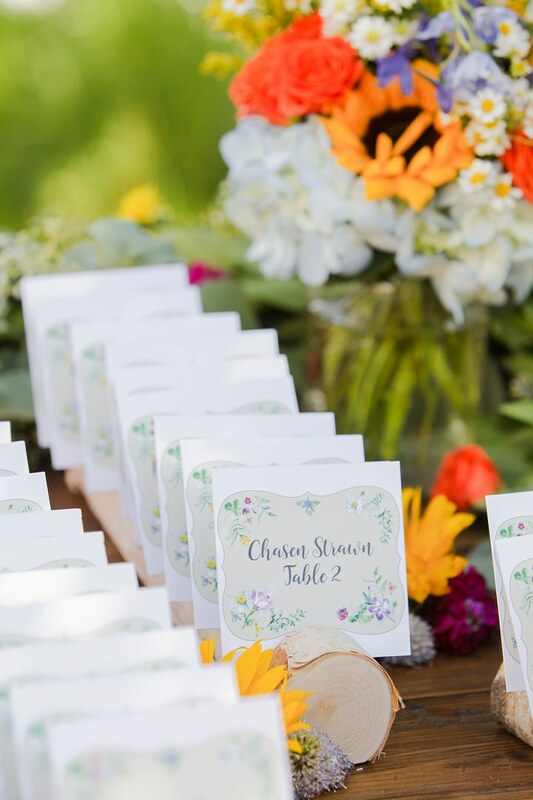 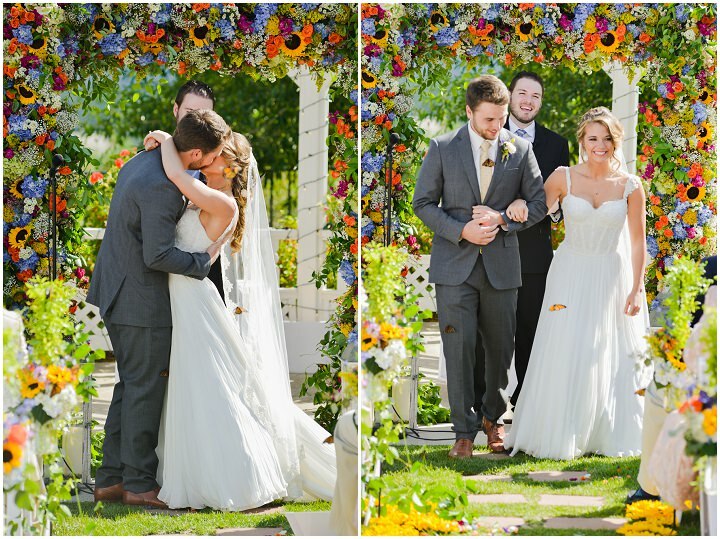 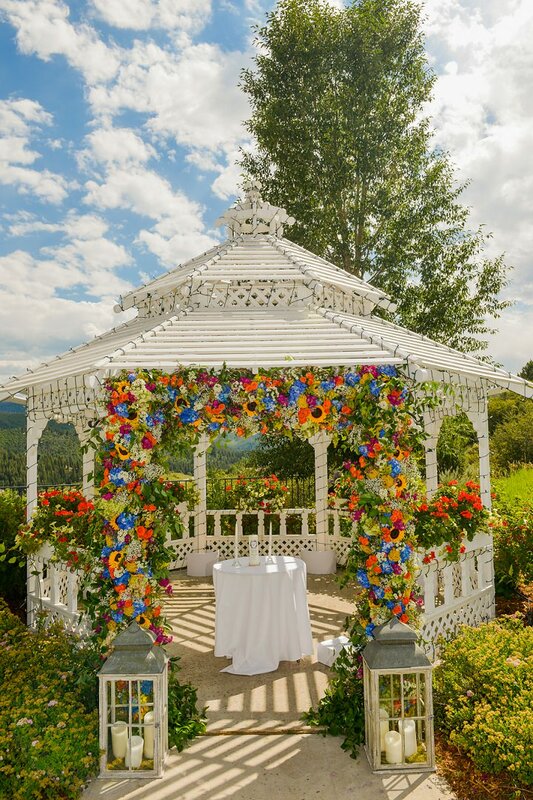 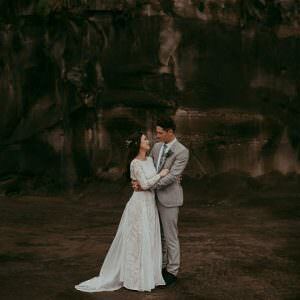 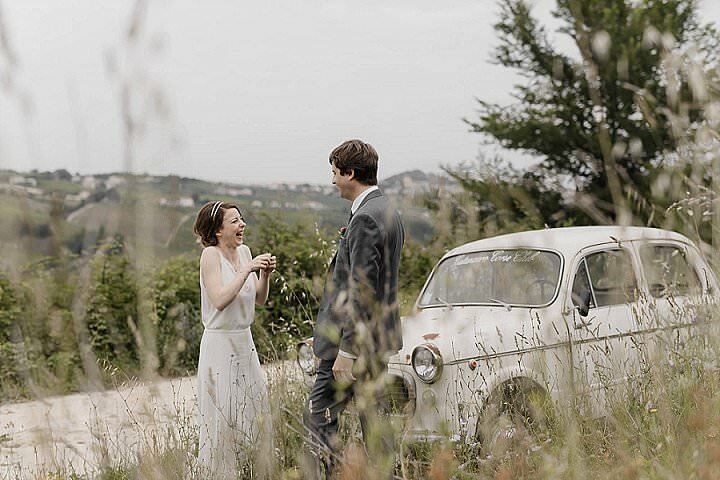 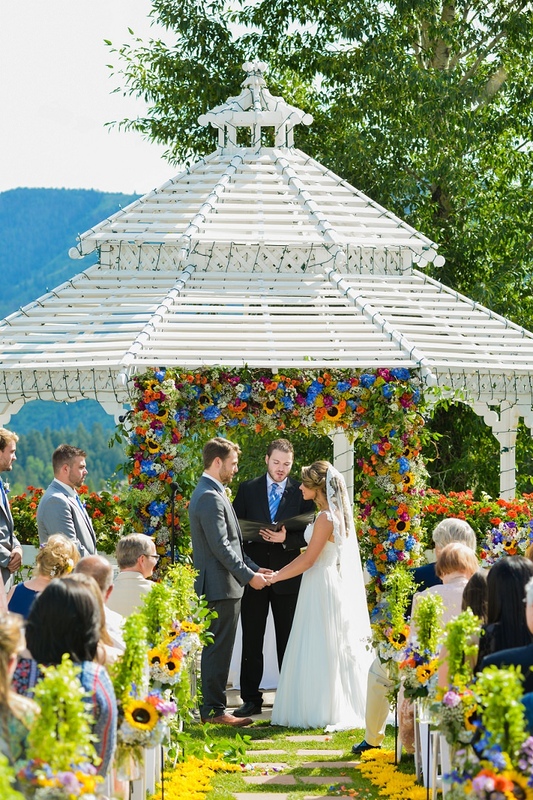 Her first look with Nathan was no less special and their were plenty of happy tears.Their guests arrived to the mountain top location to an amazing display of colorful flowers with the surrounding mountains as their backdrop. 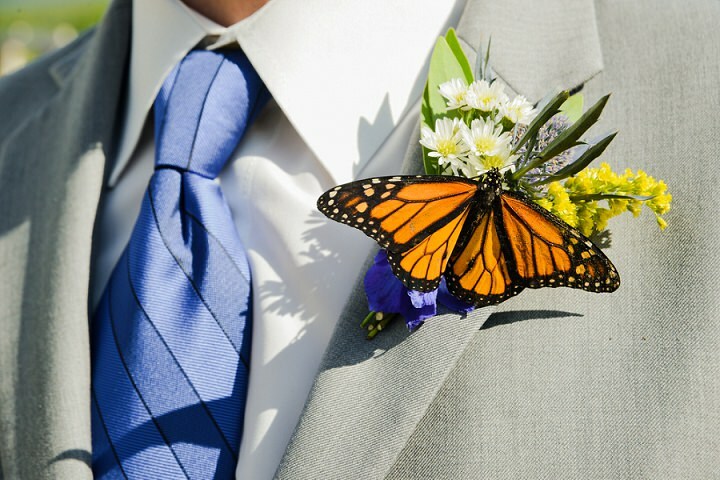 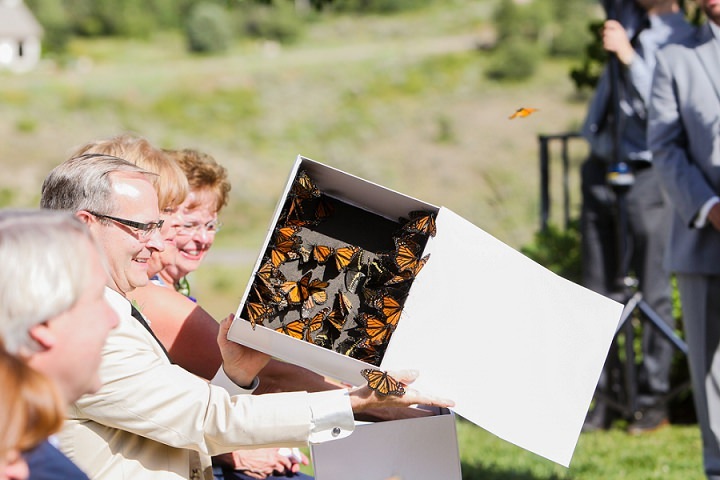 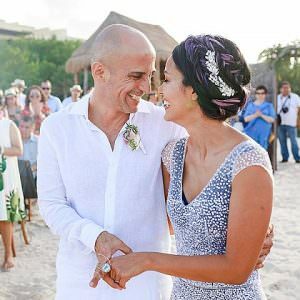 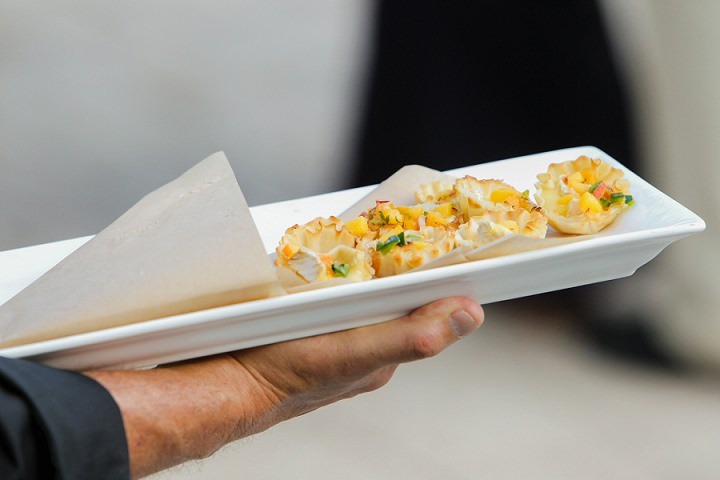 The touching ceremony concluded with a butterfly release that left everyone with a smile on their face.The celebration continued with hor d’oeuvres and cocktails served on the lodge’s patio and pool deck. 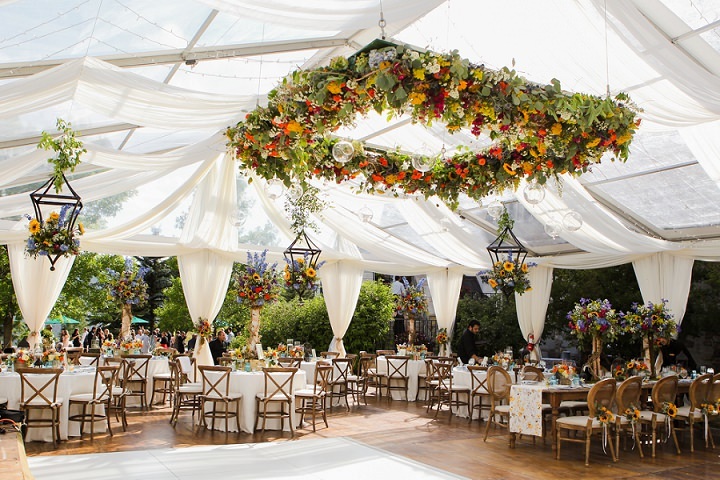 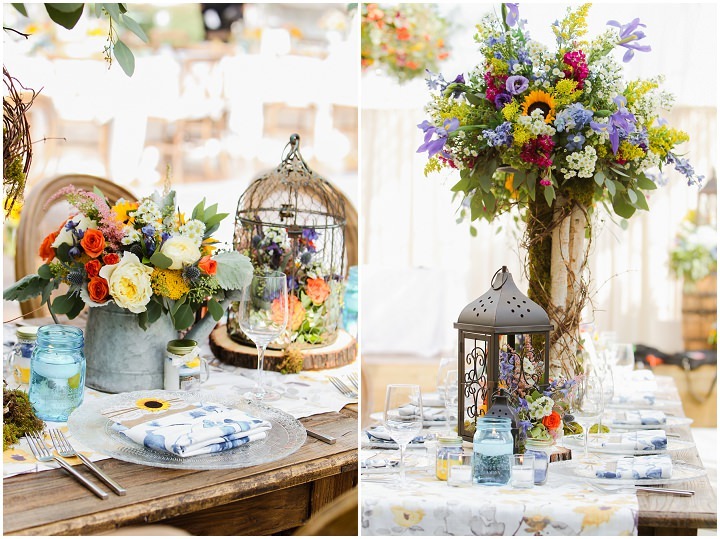 The floral explosion continued at the amazingly decorated tent reception. 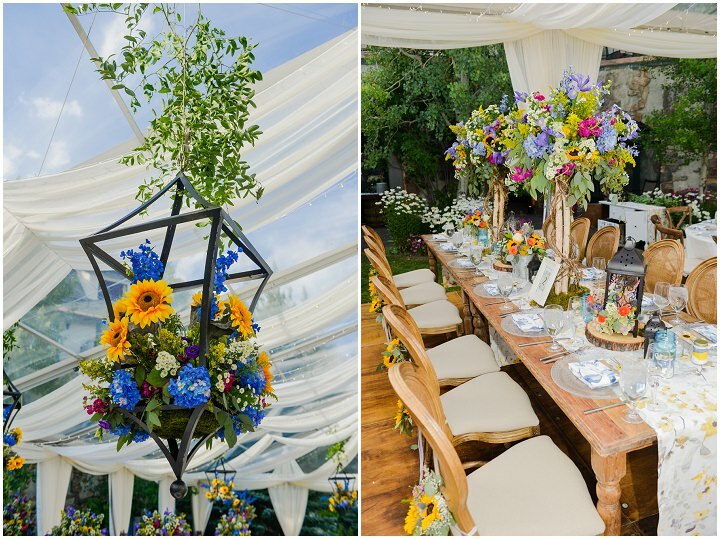 It was one of the most beautifully decorated receptions I have photographed over the years with sunflowers as the core design element. 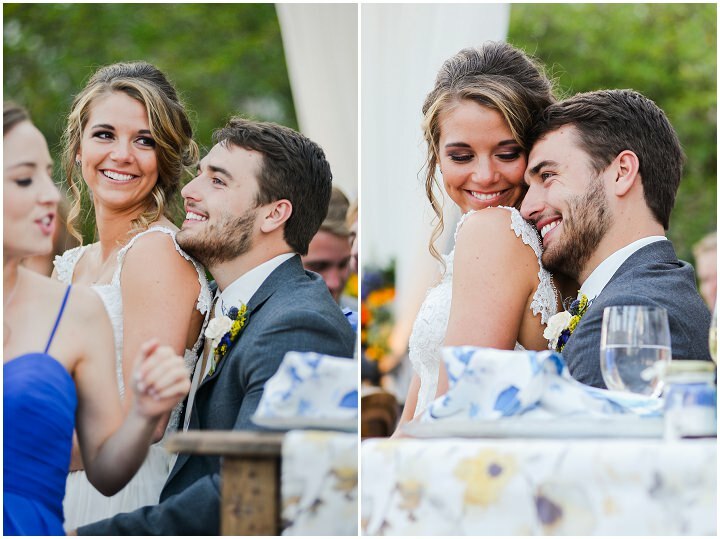 After dinner and a touching video of their love story, the guys got the place bouncing, literally, as they danced to every song with a ton of energy. 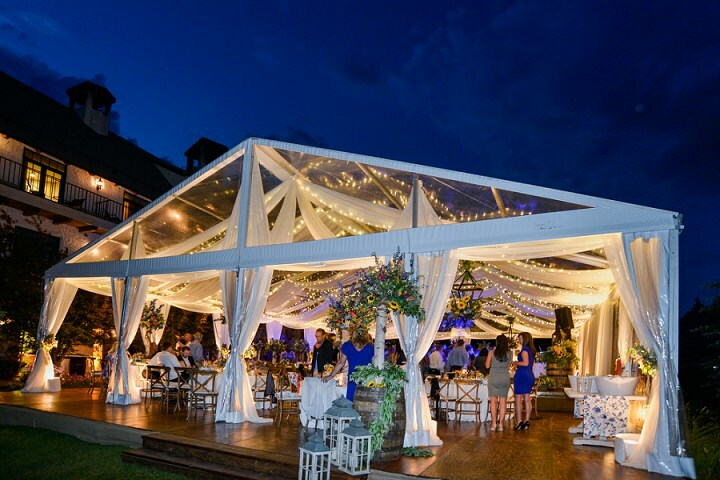 After Ashley made a wardrobe change into something more comfortable, the girls joined everyone else on the dance floor for the party. 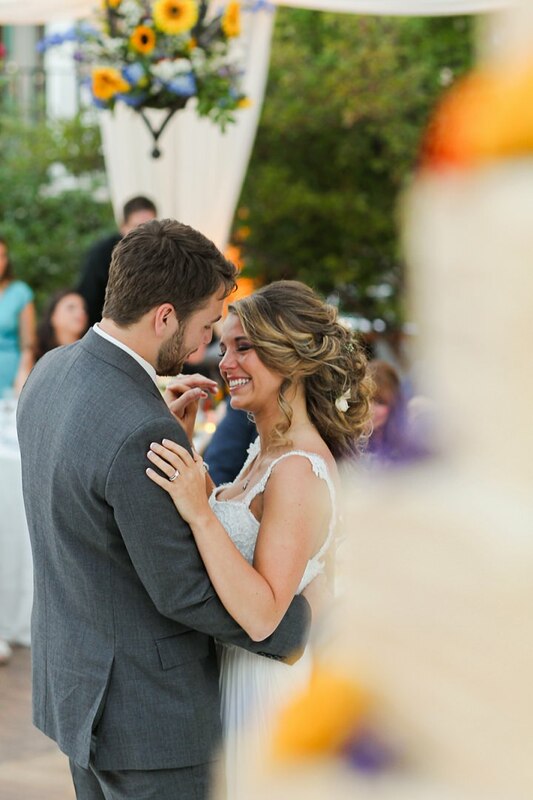 Ashley & Nathan were obviously having a blast as they danced the night away.The whole day is one that everyone that attended is sure to never forget! 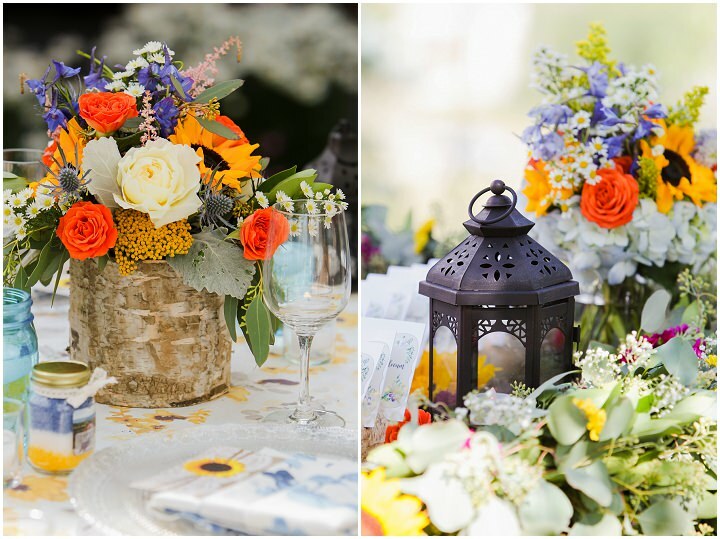 Beautiful vibrant colors! 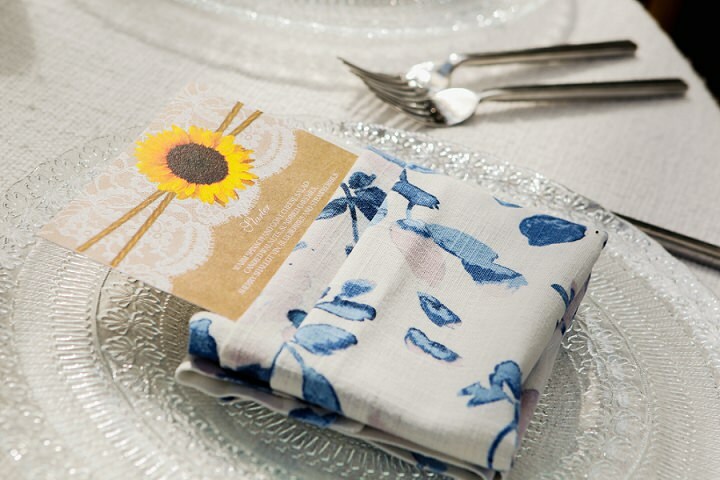 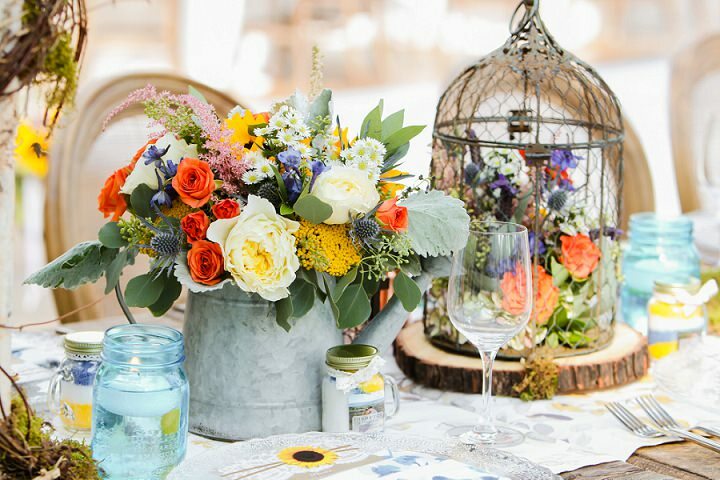 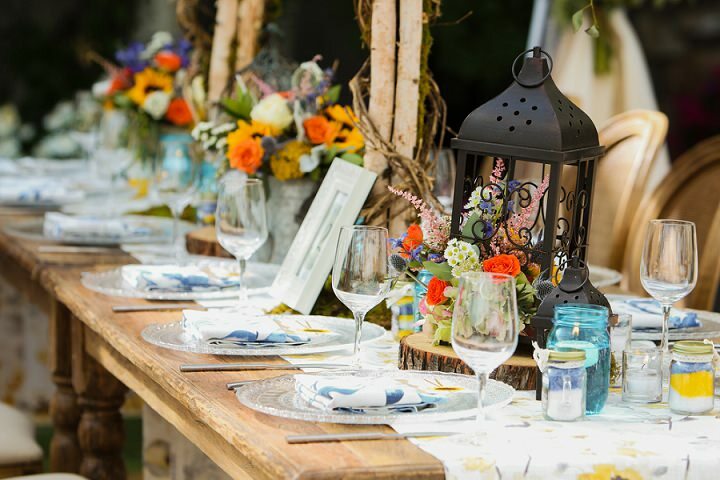 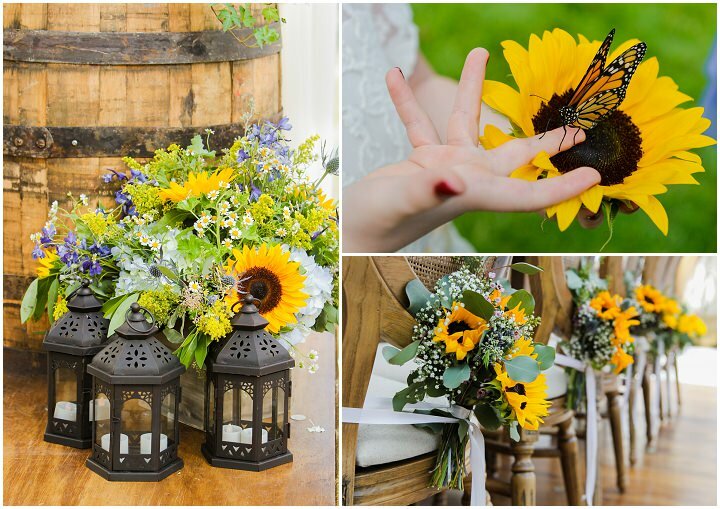 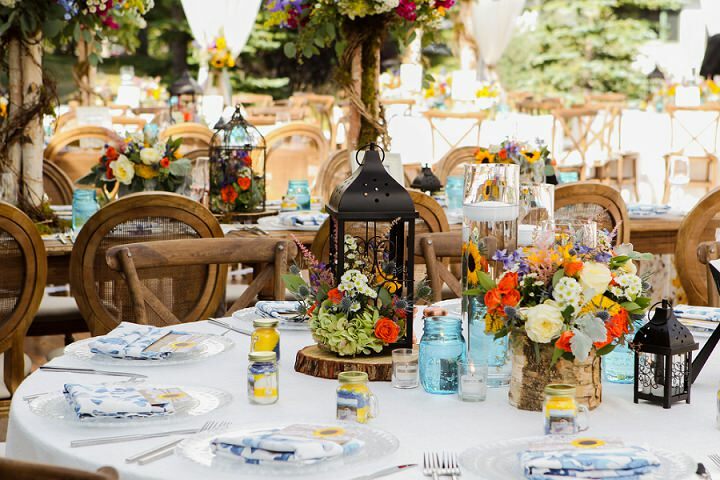 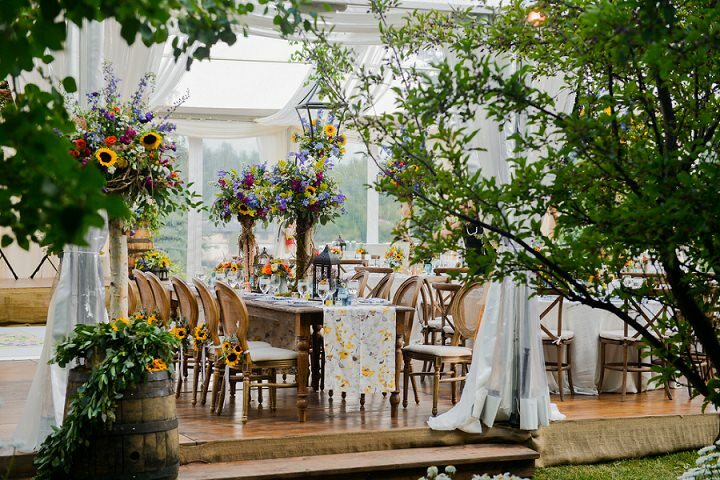 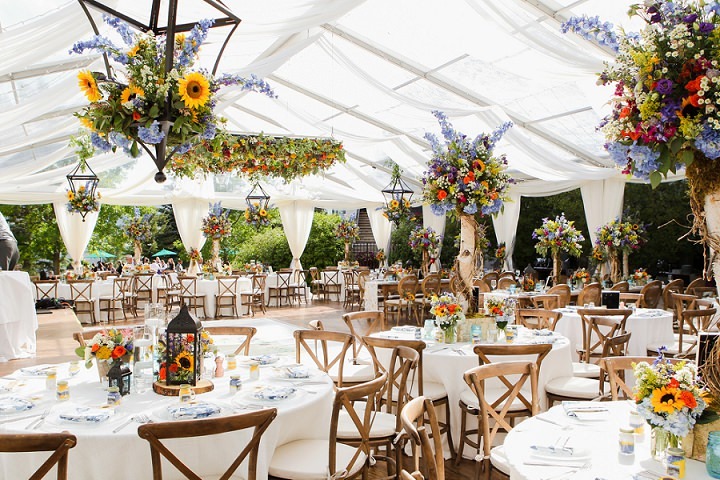 I personally love how they used sunflowers throughout all their wedding decorations. 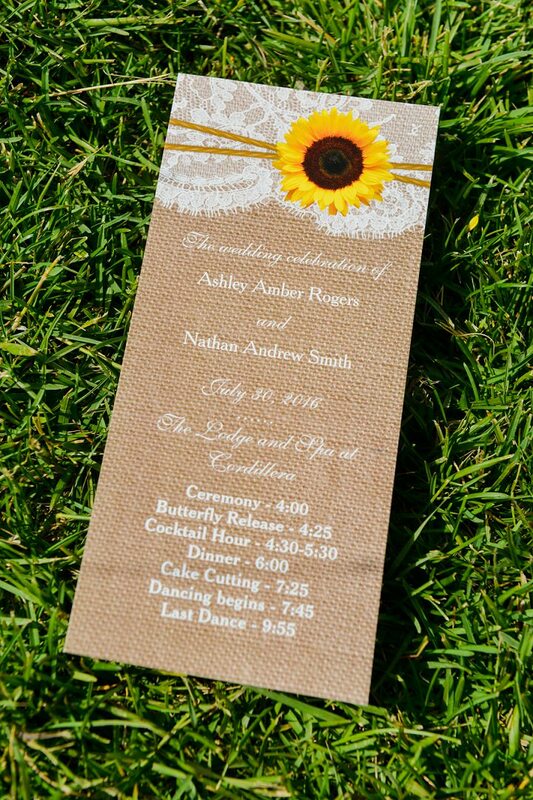 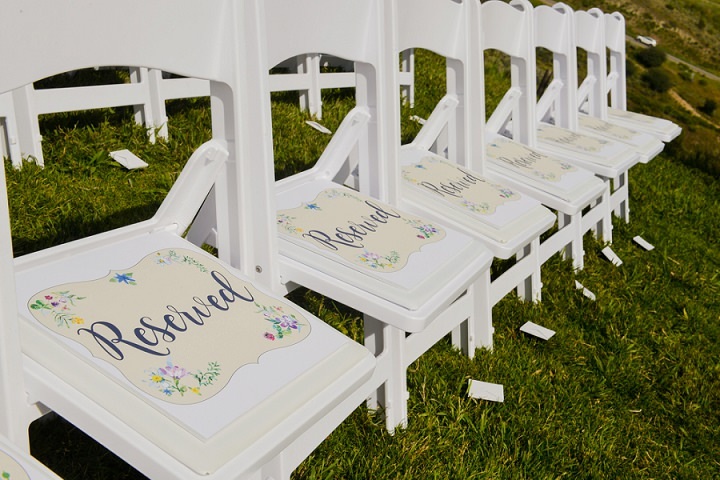 Congratulations, Ashley & Nathan!